A Vehicle AID diagnosis can be done fast and accurately. Tests typically take 15 to 20 minutes to complete. Simply drive in - no booking is required. Getting near the end of your warranty? 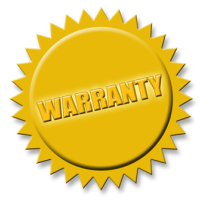 Don’t let your warranty lapse without a thorough electronic check. Are you waiting for your car dealership to send you a reminder your warrant is expiring? The truth is they don’t like warranty work, it’s just not profitable. Visit Vehicle AID before your warranty expires for a thorough unbiased electronic check of all electronic systems. This will highlight any hidden or pending faults while you are still covered by your warranty. Wanting to work on your own car? If you’re a DIY mechanic and you just need a little help understanding your car then Vehicle AID can give you the analysis you need so you can keep on with your own repairs. Most Pre-Purchase checks ONLY include mechanical checks and body checks. These tests typically neglect the state of a cars electronic health. Modern cars can have numerous on board computers managing various electronic systems. Faulty electronics requiring replacement of sensors and parts could cost lots of money. The Vehicle AID system is VERY sensitive to detecting electronic faults. Investing in a thorough electronic test can give you information that could help you avoid buying a lemon, and give you more options to negotiate repairs or purchase price. If you’ve been advised your car needs costly repair work, then getting a second opinion may be helpful to you. It can give you confidence the proposed work is justified, or it could save you from unnecessary expense. 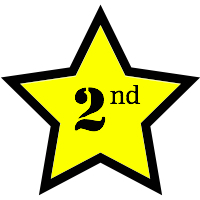 Vehicle AID only test and diagnose so we guarantee you’ll get an unbiased second opinion. Finding the cause of an electronic problem can be as time consuming as looking for a needle in a haystack, and it costs you! Faulty wiring, sensors, or on-board computers can be tricky to diagnose. Sometimes the cause never gets accurately diagnosed and repair becomes a matter of trial and error. Parts can be replaced with the hope that it will work, and if it doesn’t as a customer you’re back to the garage again for another go at repair. That’s of course more money, time and frustration. Vehicle AID are expert at analysing the data extracted from electronic systems. Their unique technology pin points faulty electronics quickly and accurately making the whole process of diagnosis cheaper and faster for you. Vehicle AID only do electronic testing so you’re guaranteed of getting an unbiased diagnosis about the true condition of your cars electronics. With a printed diagnostic report you’ll have more information to negotiate with repairers, determine if a mechanic knows how to do the necessary repairs, and proactively choose your repairer. 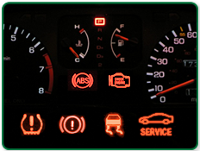 Vehicle AID only does fixed price diagnostics and services. This means you know exactly how much an analysis and report will cost prior to testing.